It is with great sadness that we have to announce that Gerry Foley, our coach, our friend, and our inspiration passed away peacefully last night on the 13th March 2018. He will be deeply missed because he was so profoundly loved by everyone around him. Our thoughts go out to his dear wife Pauline, sons Paul and Declan, daughter Maria, son-in-law, daughter-in-law, grandchildren, great-grandchildren, brothers, sister, and relatives. 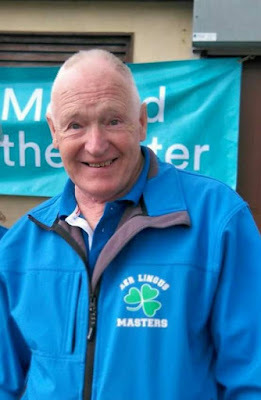 Reposing at Rock's Funeral Home, Swords on Thursday (15th March) evening from 4 - 6 p.m. Removal on Friday (16th March) morning to St. Colmcille's Church, Swords arriving for 10 a.m. Mass followed by funeral to adjoining cemetery. Family flowers only please. Donations, if desired, to St. Francis Hospice, Blanchardstown. As Gerry requested, could people wear something bright please.